The thing I love the best about the Chevy Aveo is the gas mileage. My Aveo gets great gas mileage! I just purchased it two months ago and it has had a slight vibration in front end. Dealership I bought it from said it needs a rotor replaced on the front passenger side. I have appointment to do that on Tuesday. Only problem I have encountered. Starts easily every time. The one I purchased does not have cruise control which I would recommend having. Electric windows and locks. Seats are not electric. It is an automatic and shifts into gear smoothly. I checked the oil a couple days ago. It is due for oil change and it has used no oil. I drive thirty five miles one way to work. I fill it up Sunday night and drive all week. Gas mileage is wonderful. Plenty of legroom. Overall pretty comfortable. The trunk is very roomy for being a small car I would recommend the Chevy Aveo to anyone. Very satisfied with it. Chevy Aveo 2006: an adorable 4 door with fair gas mileage. I think that the Chevy Aveo has fantastic gas mileage and is very comfortable. It appears small on the outside but is rather spacious on the inside. The acceleration is a bit slow but it is not too much of a problem. So far I have not had many problems. The car has survived in Minnesota winter conditions and was able to drive on country roads. However, this car is not too great if you want to cart around a lot of people. Although the front seat is fairly roomy, the backseat is a bit tight. The perfect. Small car for semi active seniors. I own a 2006 Aveo that fits my divorced, middle aged grandmother lifestyle perfectly. It is extremely fuel efficient and compact yet can transform IE laying down the back seat, to accommodate all my needs. I am an avid hiking, tent camping, rustic outdoorsy person and all my gear; tent, canopy, lawn chairs, kitchen supplies, cot, bedding, toiletries, food, clothing, etc. ; will comfortable fit. I have even slept in the back with proper padding. 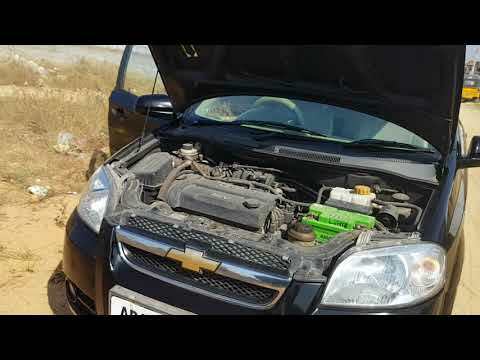 Review Chevrolet Aveo A/T 2004. Part1. Kelebihan &amp; Kekurangan. Fitur, Eksterior &amp; Interior. General Motors is recalling certain model year 2004-2008 Chevrolet Aveo vehicles equipped with daytime running lights (DRL). In the affected vehicles, there may be heat generated within the DRL module located in the center console in the instrument panel, which could melt the DRL module. If the DRL module melts due to the heat generation, it could cause a vehicle fire. The remedy for this recall campaign is still under development. The manufacturer has not yet provided a notification schedule. Owners may contact General Motors customer service at 1-800-222-1020 (Chevrolet). General Motors recall number for this campaign is 14236.